A swollen lip can be painful and embarrassing. Also, a swollen lip may be accompanied by cuts and bleeding, and can result in difficulty talking, drinking, eating or even opening the mouth. You can take over-the-counter medicines to cure a swollen lip. However, there are some great home remedies that can help you get rid of a swollen lip quickly. 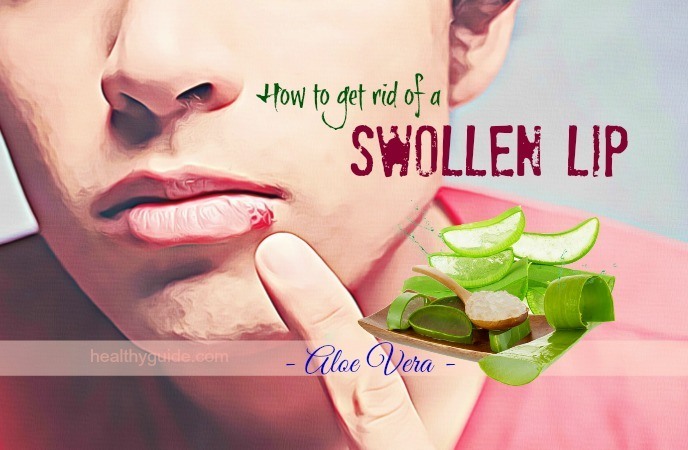 In this article, Healthy Guide will show you some of the best tips on how to get rid of a swollen lip from a pimple fast. So, if you are suffering from pain, inflammation and swelling caused by swollen lips, Read on this entire article and then try to apply one or more of these tips for good. Some conditions and diseases such as obesity, lip cancer, diabetes, organ failures, reaction to blood transfusion, etc. There are some other signs and symptoms and they depend on the cause. In case you experience symptoms like too much distress, breathing difficulties, tongue swelling, hives, rash, fingernails discoloration or tight throat, it is advised to seek for medical attentions immediately. Read on 20 Best Ways On How To Get Rid Of Sunburn Blisters On Skin to discover some of the most effective ways that can help you treat sunburn blisters on skin. Aloe vera gel contains some anti-inflammatory properties that can help you reduce swelling and burning sensation caused by a swollen lip. This is known as one of the best ways on how to get rid of a swollen lip from a pimple that you should know and then apply for good. Apply fresh aloe vera gel on your swollen lips. Soak a clean cotton ball in some honey. Apply it on your swollen lips and leave it on there for 20 minutes. List of 14 Ways On How To Take Care Of Sensitive Skin For Men And Women will reveal some of the best ways that can help you take care of sensitive skin properly, so check it out! Mix 3 tsp. of baking soda with 1 tsp. of water. Apply this thick paste on your affected lip. Allow it to sit on for a couple of minutes. Finally, wash it off using cold water. Repeat this home remedy several times a day for the best result. Dilute some tea tree oil with some coconut oil or olive oil. Apply it on your affected lips for about 30 minutes to keep them disinfected and moisturized. After that, wash it off with clean water. Repeat this home remedy a couple of times per day. Mix 1 tsp. of aloe vera gel and some tea tree oil. Apply this mixture on your swollen lips and massage it for a couple of minutes. Allow it to sit on for half an hour before washing it off. Repeat this remedy 2- 3 times a day. Note: Do not apply pure tea tree oil to your affected lips. If you experience any irritation, rinse it off with cold water immediately. 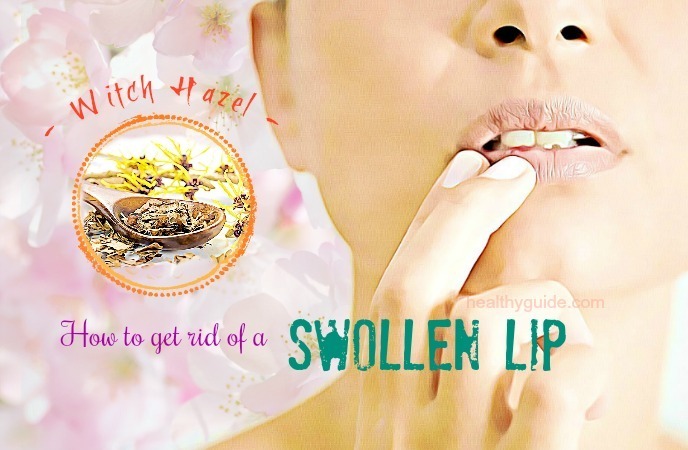 Other effective ways on how to get rid of a swollen lip fast must include using turmeric. According to a study about health benefits of turmeric powder , turmeric powder contains healing and antiseptic properties, so it can help you treat a swollen lip. You can use turmeric powder to make an herbal ointment. Mix some turmeric power with enough cold water and 1 tsp. of fuller’s earth to create a paste. Apply it over your swollen lips. Let it dry out naturally and then clean it off with warm water. Repeat this method twice per day to reduce pain and swelling. 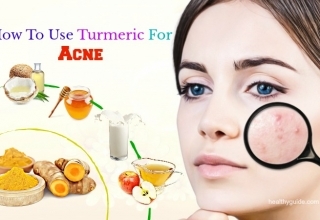 Actually, using turmeric is known as one of the best ways on how to get rid of a swollen lip from a cold sores that you should not look down, yet try to apply for good. When you are looking for ways on how to get rid of a swollen lip from a cold sores, using black tea bag may be a great solution for you. Black tea contains tannins that have powerful astringent abilities. According to a research , tannins can help reduce swelling in the soft lip tissues. Soak a bag of black tea in some lukewarm water for 10 minutes. 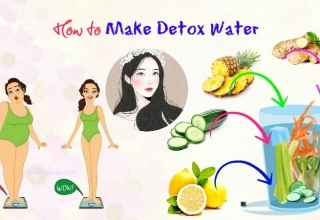 Remove the black tea bag from the water. 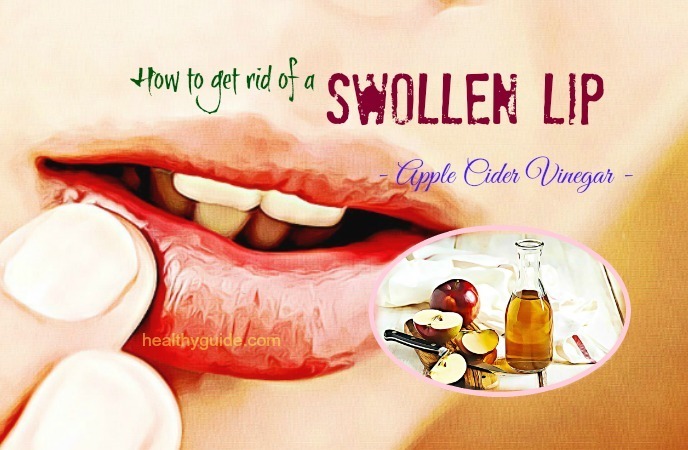 Apple cider vinegar can be effective in reducing inflammation and swelling caused by swollen lips. Also, it is a great antiseptic that may be one of the best ways on how to get rid of a swollen lip fast. Dilute 1 tsp. of apple cider vinegar in 1 tsp. of water. Apply this solution to your swollen lips using a cotton ball. When it comes to ways on how to get rid of a swollen lip from a cold sores, you should keep in mind that organic coconut oil can be used to treat skin ailments. According to a study about coconut oil benefits , coconut oil contains antimicrobial properties that can treat any harmful fungi, bacteria or virus. At the same time, it can absorb all of the impurities from skin pores and keep the lip area supple and nourished. Massage some coconut oil on your swollen lips. If your swollen lips are caused by cuts, you can consider using salt to get rid of the swollen lip problems. You all know that salt works as a natural disinfectant and according to a study , it can kill off germs causing infection. Dissolve 1 tbsp. of salt in a cup of lukewarm water. Gently apply it on your swollen lips with the help of a cotton ball. Repeat this process 1- 2 times per day. Actually, you will experience a burning sensation after applying this remedy, but it will be effective in healing the cut and reducing the swelling. So, if you want to know a solution on how to get rid of a swollen lip from a pimple give salt a try. There are other effective ways on how to get rid of a swollen lip from a pimple in this article. Keep reading this entire article and then try applying one or more of these ways as soon as possible. Apply this mixture over your swollen lips to prevent the infection from spreading. Also known as a great ingredient for skin care routine, Vaseline can also be effective in treating swollen lips effectively. Simply, apply a thick layer of Vaseline to your affected lips to see an improvement. More importantly, Vaseline is also safe for the skin, so you can use it daily to help reduce swelling and moisturize the lips. In fact, Vaseline is considered as one of the best ways on how to get rid of a swollen lip that you should know and then try to apply for good. This is one of the best ways on how to get rid of a swollen lip fast and naturally that I want to mention in this entire article and want you and my other readers to know and then apply for good. Although it sounds strange, using the mixture of apple and butter can also be effective in reducing the pain, irritation, inflammation due to swollen lips. Repeat this process on a regular basis. This solution on how to get rid of a swollen lip is also effective to treat swollen lips caused by allergies. The antihistamines such as Benadryl will help reduce swelling, inflammation and soothe your infected lips. Mix 1 tbsp. of witch hazel with ½ tbsp. of salt. Apply this mixture on your swollen lips with the help of a cotton ball. 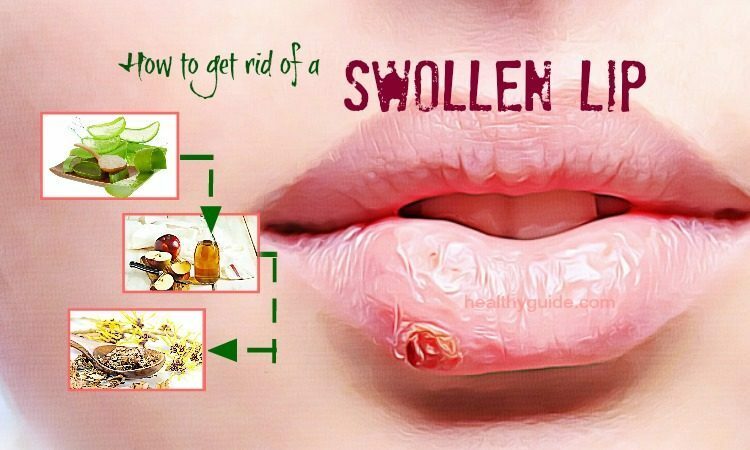 Repeat this home remedy until your swollen lip symptoms go away. Using a warm compress is another effective tip on how to get rid of a swollen lip fast. This home remedy can help increase the blood flow to your lips and simultaneously reduce the buildup of blood in your affected area, hence reducing the inflammation and swelling. Soak a clean washcloth in lukewarm water and take out the excess water. Otherwise, you can use a heating pad. Then, apply it over your swollen lips for 10 minutes. Repeat this process after one hour, a couple of times per day. Note: Avoid using a warm compress in case you have an open wound in the skin. Wrap a few ice cubes in a washcloth or paper towel. Otherwise, you can use a cold spoon or a bag of frozen peas. Gently press the cold compress over your swollen lips for about 10 minutes. Take a short break and repeat this process. Do this remedy until the swelling, pain and discomfort will be reduced. Note: Avoid applying ices directly on your affected area because it can cause mild frost bite or soreness. If your lips are swollen after an injury, you should disinfect it with an antiseptic. If your lips are swollen caused by a piercing, you should follow the advice from the trained person who did the procedure. Wash off your hands before handling it. Avoid cleaning it with rubbing alcohol because this can make your problem worse. Do you want to know other effective ways on how to get rid of a swollen lip for men and women? Continue reading this entire article and then try to apply one or more of these ways as soon as possible. To stop a swollen lip, you need to have a balanced diet. This is because vitamin deficiencies can cause this problem, especially if you are deficient in vitamins B and C. You should consume foods that contain vitamin B such as oats, bananas, liver, legumes, legumes, turkey, etc. to ensure a quick recovery. You should also include dark green leafy veggies, broccoli, citrus fruits, kiwis, papayas, tomatoes, etc. in your daily diet. These foods can protect your body from swelling as they are rich in vitamin C. Besides, you need to stay away from high-sodium foods and acidic foods because they could encourage swelling and cause pain. Actually, this is one among the best tips on how to get rid of swollen lip for men and women that all of my readers should know and then follow for good. Drinking plenty of water can be effective in treating swollen lips since it can make sure that your lips are not dehydrated. Water can make your lips moisturized and reduce swelling caused by swollen lips. So, if you want to treat the symptoms of a swollen lip, you should remember to drink plenty of water as soon as possible. When you are looking for ways on how to get rid of a swollen lip from a pimple, you can try applying a lip balm. Before going to bed, you should apply a lip balm that contains vitamins E. Otherwise, you can apply vitamin E oil taken from a vitamin E capsule to your lips. There are a few ways to make a homemade lip balm. For example, you can combine 2 parts each of coconut oil, olive oil and grated beeswax some essential oil for scent. Moreover, avoid lip balms that contain camphor, phenol and menthol. This is the last yet very important way on how to get rid of a swollen lip fast that I want to reveal in this entire article and want all of my readers to remember and apply for good, especially if you are suffering from inflammation, pain and swelling caused by a swollen lip and want to deal with this problem naturally at home. Lip swelling can happen when you are allergic to certain food items. They include lactose, eggs, fish, oils, wheat nuts, milk, etc. So, if you want to get rid of a swollen lip, you have to stay away from these allergic foods. Avoid licking your lips because this can worsen your condition. Add ginger to your diet and drink ginger tea because it can help reduce risks of edema causing lip infections. If your swollen lip is due to a medical condition, an allergy or some serious injury, you should consult your doctor. Also, if all the swollen lip treatments as I revealed above do not work and the condition may worsen, consider seeing a doctor as well. After reading this entire article about top 22 best ways on how to get rid of a swollen lip for men and women, I hope that you can find the best solutions for your problem. Also, if you want to know more about beauty advice, remember to visit our website regularly. Also, if you know other people around you who are suffering from swollen lips, feel free to share this list with them as soon as possible. One more thing, if you know other swollen lip treatments apart from those as I mentioned above, remember to share these natural treatments with other readers by leaving your comments in the comment box below.